This condo is freshly renovated and completely updated with NEW EVERYTHING! 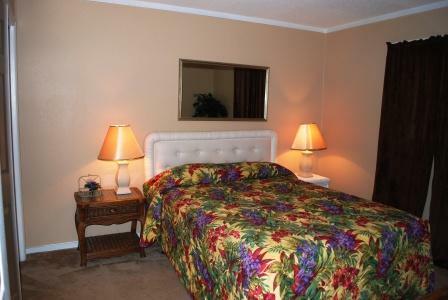 Most recent guests rate this unit as an A+. 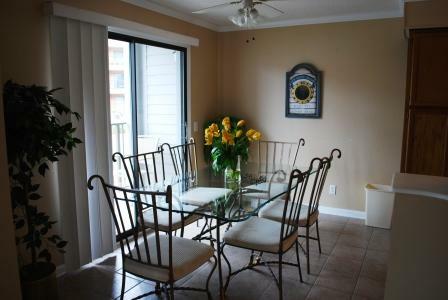 140A is a recently renovated 2 bedroom, 2 bath FIRST FLOOR condominuim located in the A Building. This 5 story villa is conveniently located on the center of the property with easy access to all the amenities and directly inbetween the large oceanfront outdoor pool and water park/lazy river. 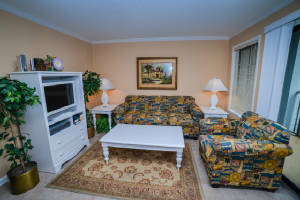 This no-smoking condo is located on the 1st floor and has all the amenities to make your stay enjoyable! 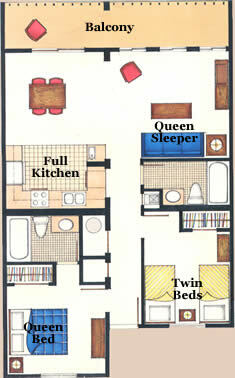 The Master bedroom is complete with a Queen size bed and private bath. The second bedroom has a full/single bunk. The living room provides a queen sleeper sofa and color coordinated chair. This unit will comfortably sleep six to seven people. 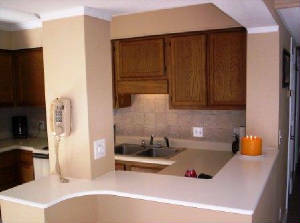 KITCHEN: New open air remodel vs. closed in kitchens in other units- see right through to the living room. 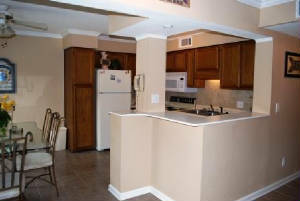 New appliances include refridgerator with ice maker, stove, microwave, dishwasher and garbage disposal. New matching dishware, glassware, silverware, pots/pans, coffee maker, and toaster finish off this kitchen for a perfect vacation. LIVING ROOM/DINING ROOM: New coordinated queen sleeper sofa and matching chair and area rug. 32 inch flat screen TV for watching those great movies plus 140 cable TV channels and HBO when you need a break from the beach or pool. Glass top dining room table with six matching chairs and coordinating light fixture over dining room table. MASTER BEDROOM/MASTER BEDROOM: Queen bed with new mattress and boxspring with coodinating beachy bedspread. 19 inch TV for late night bedtime watching. Sizable closet for storing cloths. 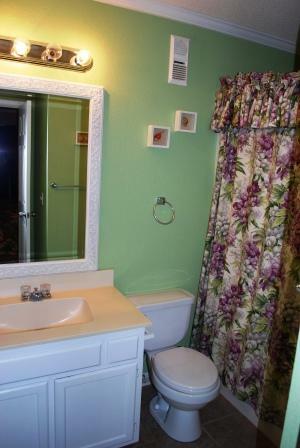 Bathroom features standard countertop and sink wiht new light fixture and mirror. Standard tub shower with coordinating shower curtain. 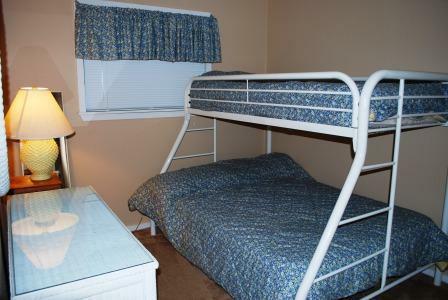 SECOND BEDROOM/HALL BATHROOM: Full/Single Bunk Bed wiht coordinating bedspreads. 19 inch TV on dresser for late night bedtime TV watching. Sizable closet for storing cloths. Hall bathroom features standard countertop and sink with new light fixture and mirror. 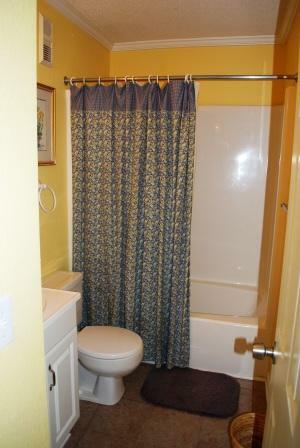 Standard tub shower with coordinating shower curtain.